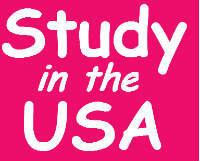 In this Study in USA guide, you can find the basic cost, Eligibility terms, degree programs and easy apply details. This article describes the eligibility criteria for taking up a bachelor degree, master degree in United States of America and also it describes the various processes involved in applying for higher education in United States and the expenses. Do you know Country wise Basic Cost for Study Abroad?. Read on! The student should have successful completion of Year 12 examination. Some institutions may require the completion of TOEFL/IELTS examination in order to test the candidate’s English proficiency. For pursuing master degree in United States of America the candidate should have successful completion of Bachelor Degree. The candidate should have cleared the entrance exams depending upon the course for example mostly the students who wish to pursue their MBA abroad should have cleared GMAT exams with good scores, those who are willing to pursue their PhD abroad should have completed GRE exams. There are various entrance tests depending upon the course and one should have completed it successfully with good scores. A student who has strong aspiration to pursue his/her higher education in United States should start working on it before one year. The student can approach a counseling center and ask for their guidance in selecting up the university and educational program. They help you to narrow down your choices by providing you various guidelines. This is one of the deciding factors whether the candidate is eligible to pursue their higher education in United States. It is mandatory for candidates to take up entrance tests like TOEFL (Test of English as Foreign Language) or IELTS. Other entrance test like GMAT, GRE depending upon the education program one must take up these tests. One can download the application form from the website and fill it up and can send it through mail or air. All the academic records, reference letter, purpose letter should be submitted in order to receive the I-20. An I-20 is the document issued to the student by the University for Admission. The candidate will be asked to appear for an interview at the US embassy when the interview is being scheduled. Applying for student visa is an easier process now. The tuition fees can vary from university to university and from course to course. The tuition fee can vary from US $10,000 to $50,000 per annum. Cost of Accommodation can vary from $3,000 to $8,000 per annum. Other expenses like medical insurance, books can vary from $1,000 to $3,000 per annum.